It's the season for change, it seems. After a month in Alaska, I flew back to Denver to be the best man at my friend Josh's wedding. I've been living with him and his new wife Amelia (not to mention their dogs Lois and Minnie) in their basement for parts of the summer. Here's Josh and his lovely wife Amelia. The picture was taken during our post-reception bar-hopping extravaganza. With the wedding over, I focused my energies on yet more book-making duties. First came some editorial comments from my editor, which I addressed. And then a copy-editor looked it over and sent me her changes. Soon, one of my publishing company's lawyers will look it over to make sure I can't be sued by any people/corporations mentioned, and finally, I'll do "page proofs" in which I review the printed-out version of the book to make sure, one last time, that there are no errors. And at some point a cover designer will generate some sample cover ideas. Here it is on its own Amazon page! 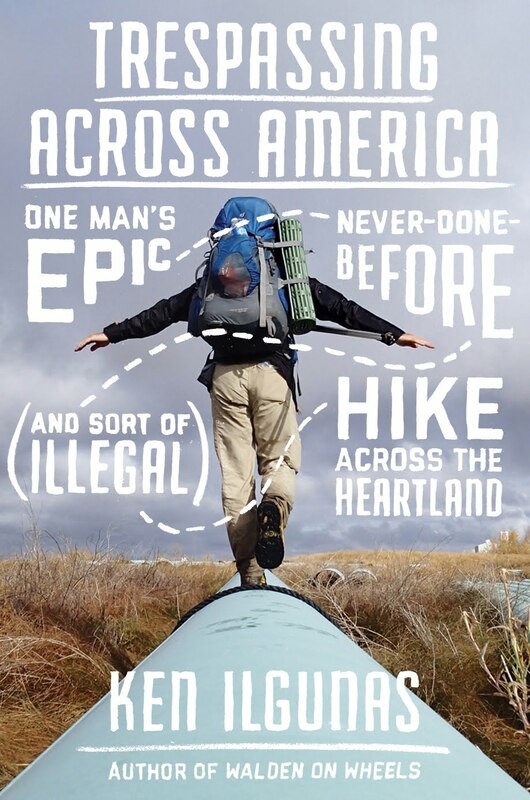 But mostly I've been planning my next big adventure: a 2,000-mile, multi-country North American hike that has never been done before and may very well never be done again. I plan on taking off as soon as I finish up my writerly duties, hopefully sometime between the first and second weeks of September. I'd love to talk more about my itinerary--in fact, I plan on blogging about it while I'm out there--but, for now, because I'm honestly not sure about the legality of what I'm about to do, I'm opting to keep things hush-hush. Anyway, I've spent the past several weeks buying and consuming and feeling like I'm wasting all my new money (my first check for the book came in a couple of months ago) on this big hike project. - Over 300 energy bars of the Clif Bar and Meal Pack variety. During my July hike with famed backpacker Andrew Skurka, I learned a whole bunch of interesting ways to reduce my pack weight, starting with making my own stove. This is aluminum foil, about 23 inches long, which will serve as my "stove windscreen." Fold over the edges to enhance durability. And here's the stove-to-be, a small canister of dog food. I punched holes along the top rim of the canister, and then filled it with about .6 oz of alcohol. Here's a picture of the finished product, which worked fine, except that I made the windscreen a few inches too short. For a better tutorial, go to Andrew's site for his advice on how to make a windscreen and stove. Here's food for 100 days. Mixing up trail mix. I plan on eating about 3 oz of trail mix a day. Wrapping up everything in Ziplocks. I got the Priority Mail boxes from the post office for free. I plan on making 21 shipments (usually about 3-6 days of hiking apart) to myself at post offices along the way. I wanted to ship some liquids to myself, like olive oil, yet I had a hard time finding small plastic bottles that were small enough for me. At Sam's Club, though, they offer these small 4 oz bottles of juice, which were perfect. I also bought an 18-pack of orange juice, which come in 10 oz bottles. Needless to say, I don't think I'll be hankering for another bottle of Gerber's White Grape or Tropicana for a long time. I'm sending myself maps in each box. I bought the National Geographic TOPO! program for each of the states I'll be hiking through, which worked wonderfully. I printed them out at a local Fed Ex/Kinko's. Again, I got this advice from Skurka's website here. When I made my food list, I was planning on eating 4,200 calories a day. The picture below is a typical day's worth of food, though note that I've packed for several days, so my daily portions won't be this big. All done. Lois is exhausted from watching me. Not only am I looking forward to a good long walk, but also writing (new stuff) again, which I'll be sure to start doing a lot more of soon enough. Here I am with Amelia. (Permission to dance with the bride was granted from the groom.) Apparently one wedding attendant thought I cleaned up so well (even though I was wearing borrowed clothes, partially devoured by moths) that she took me as a young WASPish Republican. Amused, whenever I was in her company I made sure to remark about how well the convention in Tampa was going and how serious I thought Ryan was as a VP candidate. Josh and Lois on the basement couch. Aaww, whatever happened to the Nissan Datsun truck? How did you get rid of it? good to finally hear from you again! Looking forward to your book, and your upcoming adventure. I can't wait to read about the hike! Should be very entertaining :) Its also wonderful to hear about the progress of the book. I'll be pre-ordering it at some point here. Anon--The truck was never mine. It was merely lent to me for a couple weeks. It ended up breaking down 20 miles south of Fairbanks at 4 am, when a companion needed to get to the airport in 2 hours. He was able to hitchhike, but the truck needed a new water pump among other improvements. Trish--Thanks. I do really want to start writing new stuff again. The book has been a lot of fun, but it makes me feel as if I'm spending too much time in the past. Jon--Thanks for the encouragement. I will appreciate your business. Yes, a good long walk is in order! In my mind’s eye, I can just see the behind the scenes nail biting, cold sweat inducing tension and anxiety (breaking down at 4am). But, most of all, the excitement of your friend getting a second lift to catch his plane. What are the chances of being picked up at that ungodly hour? Did you wait for AAA, hitchhike back to town, call the truck’s owner? 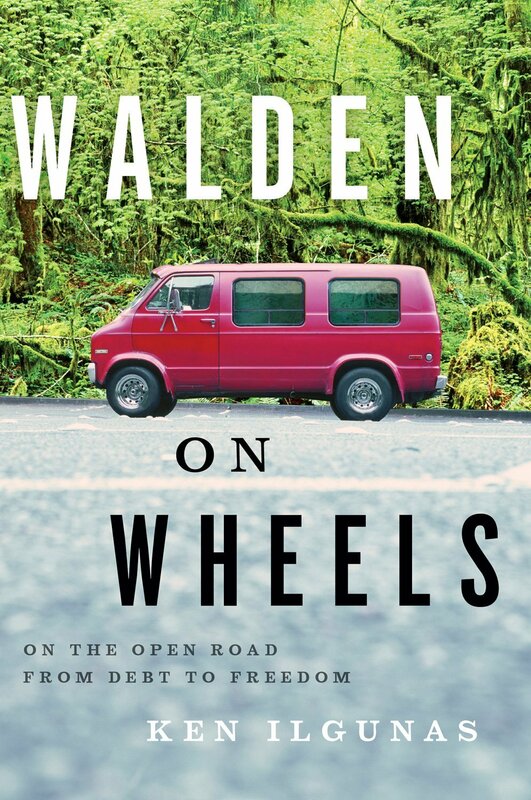 Where did you sleep when your temporary Walden on wheels has had it? Friend’s floor? Boiler room at the university? There were just so many juicy writer’s gold behind the scenes drama that had happened while you were away In Alaska. I appreciate that certain things you’d want to keep private; but, there were also other little nuggets that had the flavor of slasher movies. Sometimes, the Ken ‘had-us-on-the-edge-of-our-seats’ stuff is in these little details that you’d casually dismissed. It doesn’t always have to be epic odysseys. And, I can see why you’d been asked to write a ‘how to’ survival guide. It looks like you’ve accumulated quite a bit of street smart skills. Anyway, thanks for sharing. Even your crumbs are entertaining as hell. Good luck with your upcoming expedition. Anon--The story of the truck is a long and fairly uninteresting story, or else I probably would have shared it, though you're right, I do need to keep a portion of my life private and off the blog. I ended up sleeping in the truck for a couple of hours, and then calling AAA. The cost of repairs was like $500, which seemed unreasonable since it was bought for $800. Thanks for all the kind words--I'll be sure leave something more than crumbs in the months to come. You will only be a republican when you start making a significant income and see just how much the Government is taking from you and wasting. You will contrast that waste with your own frugality and purposefullness (if that is a word) and you will despise our impersonal, wasteful government. You will also come to resent the ever increasing regulations and restrictions on your personal freedom. Then you will start thinking that smaller government is a good idea. Then you will be a republican. setting aside the social issues of course. Anon—I won’t ever be a Republican so long as the party has backward social policies (i.e. anti-gay marriage, anti-abortion), profligate spending habits (i.e. two wars, desires to up the defense budget), questionable moral values (i.e. letting for-profit colleges run hog-wild in deluding prospective students), exploitive environmental initiatives (i.e Keystone pipeline, arctic drilling, mountain top removal), not to mention a feeble grasp on truth and reality (i.e. penchant for creationism, climate change denial, Any Rand). If Republicans simply stood for small government, I’d be far less dismissive, as I, too, in my ideal world, would prefer to live in a society where a vast government bureaucracy was unnecessary. But 1) The Republicans, as we all know, are not fiscally conservative or "small government," and; 2) The world, today, has serious global/international problems that cannot be addressed on a citizen by citizen basis. So as much as I dislike the idea of a government entity holding sway over my life, I see the need for it too. (Seriously, how else can we deal with climate change except with large-scale government regulations and restrictions?) And I don’t know how you can insinuate that Republican infringe less on individual liberties. Between gay marriage, reproductive rights, and the Patriot Act (which had bipartisan support, but much more from Republicans), it seems pretty obvious to me which party wishes to limit liberties. In short, I won’t ever be a Republican unless Lincoln or Roosevelt climb out from their graves. I should acknowledge that a fair bit of government money probably goes wasted, and you’re right that I probably won’t be enthusiastic about losing a significant portion of my income come tax time. I guess I still believe in the possibility of government, especially if we were able to remove or limit the meddling of special interests. Also, I’m not an apologist for the Democrats, but they are, to me, very clearly the lesser of two evils. Anyway, even though I disagree with your forecast, let it be said that I appreciate the courteous way you expressed your point. 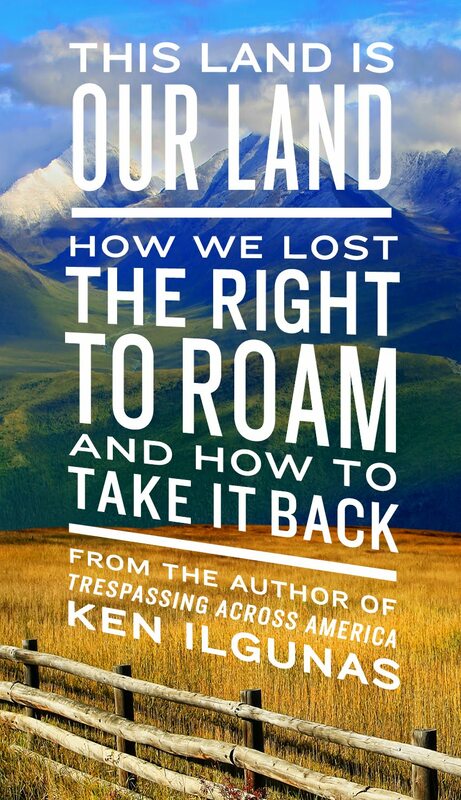 Ken, I have always appreciated how you intersperse text and photos. I understand your experience better that way. And I get ideas, too! I noticed there is no sign of there being a Kindle version of your memoir. Have you heard any news about it, either way, from your publisher? Do you, as the author, have a say in the matter? Days 3 & 4: Canada!! !